Practice. 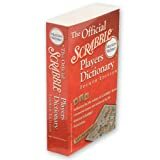 You can buy Scrabble books and check the many useful practice tools available on the Internet. Consider balance at the letters on your rack. e.g. It might be smart to form a word eliminating double letters in your rack even if it's not the highest-scoring move you have available. Many players aim for a rack with 4 consonants and 3 vowels. Shuffle the tiles on your rack frequently. Look for some common ways to combine the letters. See what letters have already been played before deciding on your move. If few E's have been played, you might choose to create WERE instead of WARE to reduce the chance that you'll draw a double tile. 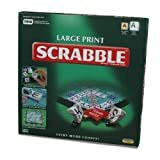 Plan ahead to play long words, possibly even using all the tiles on your rack in one turn (called bingo and gives bonus points). The most common letters players to create a bingo are: A, E, I, N, R and S.
Use an S to form two words at once. Pluralize one word while forming another at the same time. Don't add an S unless you can earn at least 8 extra points. Hooks are single letters that you can add to existing words that form other words. We already mentioned the "S" hook, but also look for words you could end with a Y, E, R or D.
If you study, concentrate on unusual words, and words with lots of vowels and non-vowels. Two-letter words are useful in a lot of situations can can boost your average score by 50 points per game. Study Q words, X words, J words, Z words to maximize the score. This tile offers high-scoring potential. You should learn the words which use a Q. Avoid giving other players easy access to bonus point squares, especially the triple word scores. Make your play with an eye toward your next play by saving some good tiles on your rack. Try to save some combination of the letters from the word "starline". Look for Bingo's. Learn common word beginnings and endings and know how to place them on your rack. Keep in mind that anyone can beat anyone else with a certain amount of luck. Also remember that everyone draws poor combinations of tiles at times. You might sometimes need to forget a high scoring word for a low scoring alternative. 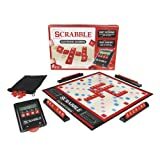 The reason for doing this is to limit your opponent's ability to play high scoring words. This is called playing defense in Scrabble.